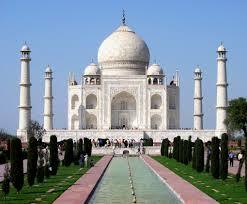 Agra is the most visited tourist destination and the place epitomizes love. This white domed mausoleum is one among the Seven Wonders of the World and has an epic love story associated with it. The other must visit tourist destinations in Agra is Fathepur Sikri, Agra’s Tomb, Ram Bagh, Sikandra Fort, to name a few. Kashmir is also called as the paradise of the Earth and its major attraction lies in its scenic beauty like snow covered peaks, lush green valleys, alpine village, cascading waterfalls, lush green gardens, to name a few. Kashmir is the destination that is worth a visit. This destination is perfect to visit during winter season and here you can also boat ride on Dal Lake. The attractions are Gulmarg, Srinagar, Nagin Lake, Pari Mahal, Shankarcharya shrine and Pehalgam. Goa is the smallest state of India and is famous for exotic beaches and it’s amazing sunset view, with golden sand and coconut palms. If you really want to have a great time, do visit this place. 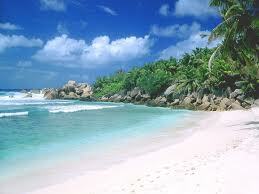 Goa is the perfect destination for honeymoon goers and it’s eminent for seafood, and it is truly a fun place. The major tourist destinations in Goa are Alorna Fort, Ancestral Goa Museum, Arvalam Waterfalls, Chapora Fort and Calangute beach, to name a few. 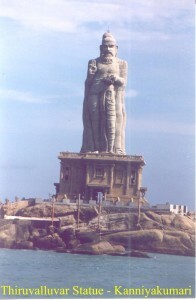 Kanyakumari is also called as Cape Camorin and it is the place where three humongous water bodies like Indian Ocean, Arabian Sea and Bay of Benegal meets together. People cannot stop seeing at the darkening horizon of solitude. Sunset is more spectacular and best before sunrise. Lakhs of people visit here around the year and gets lured by the serene beauty of this place and beautiful sunset and sunrise. Jaipur and Udaipur are the two most sought after destinations in India, owing to its rich legacy. The place is famous for its tombs, havellis and minarets. The place is also known for rich artistic traditions of the state like Hwa Mahal which is designed in the form of crown to Lord Krishna and it draws attention of tourists all over the country. 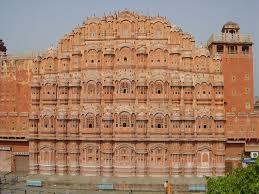 The pyramid shaped monument has 953 windows and stands at the entrance of City Palace. The Lake Palace of Udaipur is one of the beautiful palaces converted into hotel. Your Blog posting and picture selection its nice and wonderful India you show on your Blog and inch by inch your explanation is nice i hope India is a nice country. Kebhari.com will help you to find most tourism place in world. Thanks for sharing. The List is perfect! If I wish to add some other lovely places in in India, but they can’t replace these 4.